A man in his 40s is being questioned. CANNABIS WORTH AROUND €1.4 million has been seized by gardaí following a search carried out in the Carlow town area earlier today. The drugs were found in a vehicle close to the town, and have been taken to a secure location for further analysis. 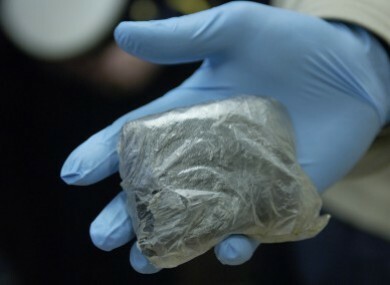 The haul included both cannabis herb and cannabis resin. A man in his 40s arrested at the scene has been taken for questioning to Carlow Garda Station, where he is being held under the Drug Trafficking Act. The search was carried out as part of an investigation by the Garda National Drugs Unit and the Garda Organised Crime Unit. Local gardaí and Customs Drug Enforcement Officers also took part in this afternoon’s operation. Email “€1.4 million worth of cannabis seized in Carlow”. Feedback on “€1.4 million worth of cannabis seized in Carlow”.